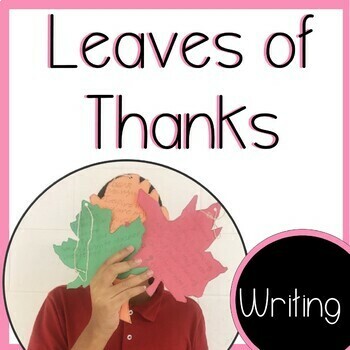 Close to Thanksgiving I ask students to write letters of gratitude to adults on campus. They write a rough draft, then for their final draft they trace a leaf outline on to a piece of construction paper and rewrite their letter. I have them deliver their letters and ask them to read the letters out loud to that person.